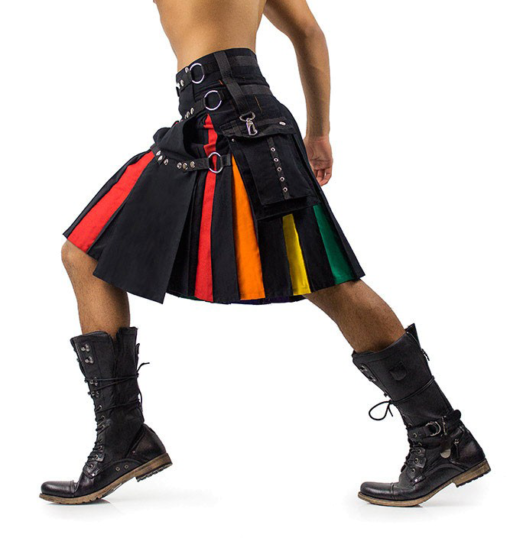 Rainbow Utility kilt for Men made up of 100% Cotton. 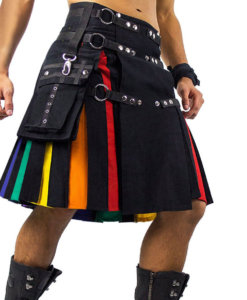 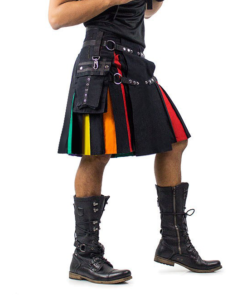 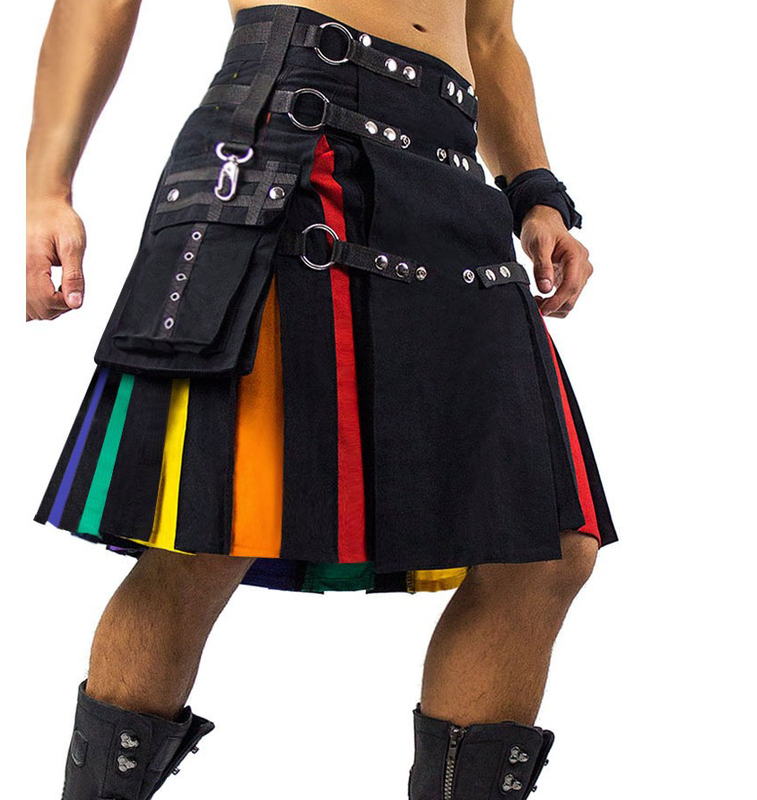 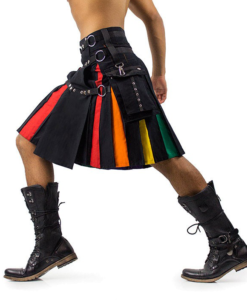 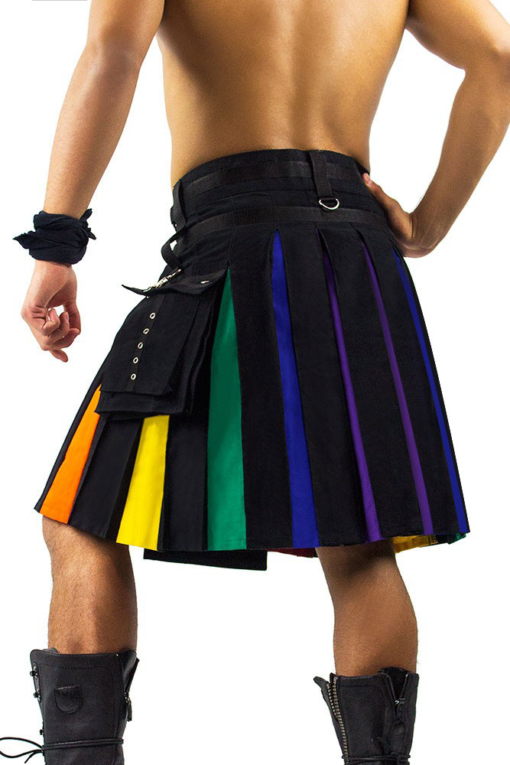 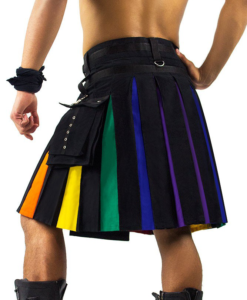 The pleats of this kilts are designed with rainbow color fabric. 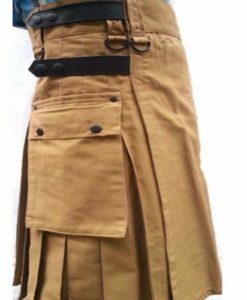 Two large cargo pockets with cotton straps on each of the kilts. 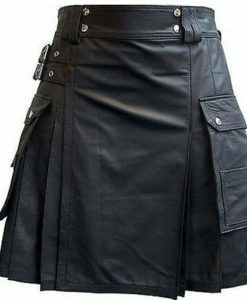 It also features lobster clasps for attaching your keys. 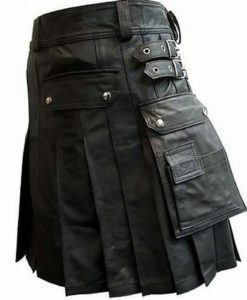 It features snap closure. 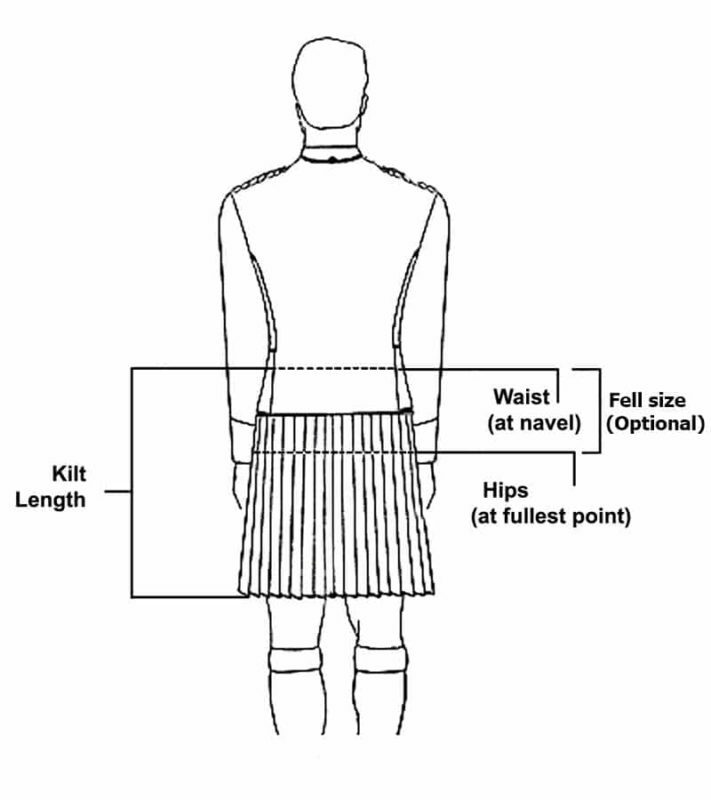 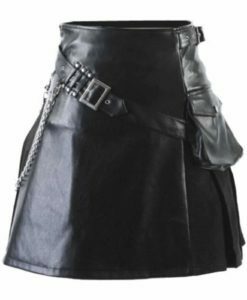 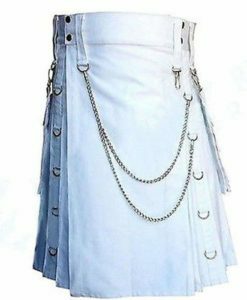 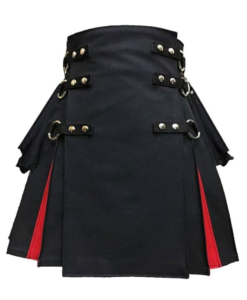 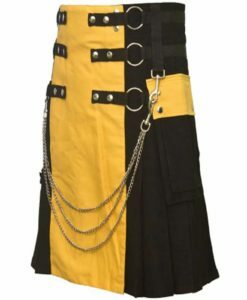 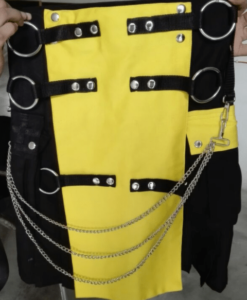 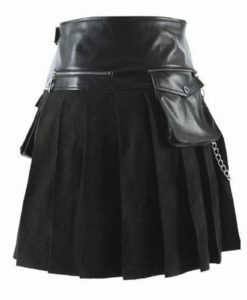 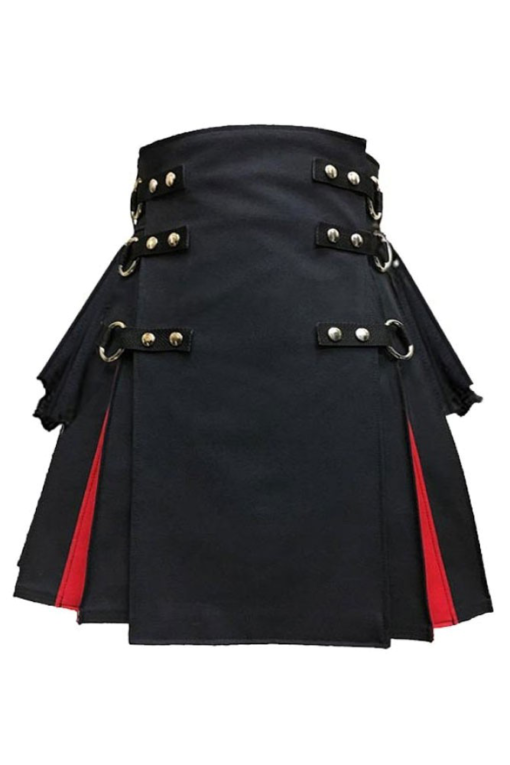 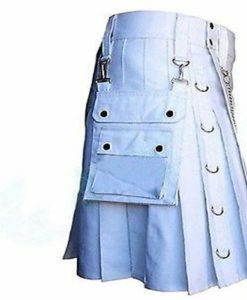 The kilt is amazingly designed. 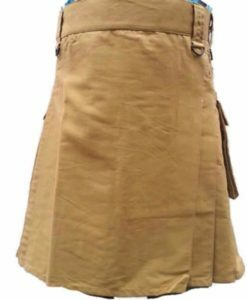 Two Cargo pockets to store your stuffs. 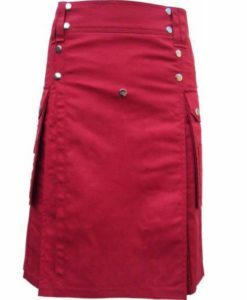 Features lobster clasps for attaching your keys.